High-level officials such as executives are responsible for some of the most important decisions a business makes - which means their right-hand man or woman is also very important. Executive assistants need to ensure that their superiors are performing and reaching the company’s targets, while also ensuring that their work is properly organized. If you’re aspiring to become an executive assistant, it’s important to know what you’re getting into. In this post, we’ll give you a primer as to what the job entails, as well as some valuable information on how you can excel at your new career of choice. As the name would suggest, executive assistants work for higher level officials within the company, such as the owner or chief executive officer. Unlike administrators who focus more on clerical tasks, executive assistants work on high-level tasks such as handling confidential information, managing schedules, data analysis, and document preparation. Handling guests and customers, whether in person or via telephone. Analyzing information and preparing reports. Producing text and graphical information for presentations. Scheduling meetings, conferences, and travel plans for the executive. Recording meeting discussions to provide references. Ensuring operation of equipment and calling in for repairs when necessary. 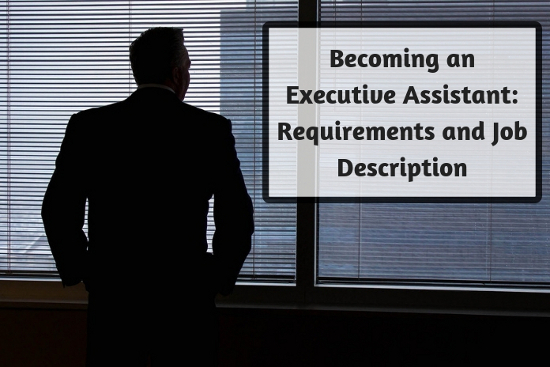 What are the Requirements of an Executive Assistant? As you can see, being an executive assistant requires a broad base of skills and knowledge. Many assistants have completed two to four-year degrees in business subjects such as office management and administrative support. However, it is possible to work your way up in a business with your current position assuming it’s in a related field. If you can prove to your manager that you’re up for the task, you may be in line for a promotion. Be sure to check out this article on Bevi.co, which details some Executive Assistant Tips that you can make use of before and during your job as an executive assistant. Aside from the valuable information contained in their posts, Bevi.co is pioneering a new smart water dispenser, which offers customized beverages at your fingertips. It’s a great new product that can save your home and business money while also eliminating waste. Like any position, your salary as an executive assistant largely depends on location and experience. But according to a recent analysis by onetonline, you can expect to make around $27.60 per hour or $57,410 per year. In 2016, they projected a possible 54,600 job openings in the field until 2026. As a successful executive assistant, you’ll be participating in a satisfying, challenging and rewarding career line with the opportunity to take your newfound skills and knowledge to higher positions in your company. All it takes is some old-school work ethic. Good luck out there!